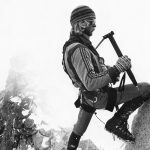 The Height of Injustice: Is Being Tall an Advantage in Your Climbing Career? 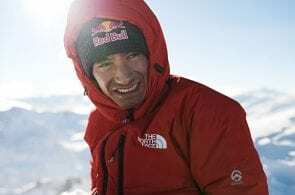 Economist and data-wizard Chris Ring digs in: Is being tall an advantage for climbers? Is there a perfect height that’s the sweet spot for climbing hard? Climber in Red Rocks, Las Vegas, Nevada. Photo: Robert Baker. No day at the climbing gym is complete without hearing the complaint that it isn’t fair for tall people to have all that extra reach. Obviously, over time, we all see moves that are way easier for the tallest among us. There are also moves that turn those same people into scrunched and awkwardly arranged tangles of limbs. But overall, does more height make a better climber? 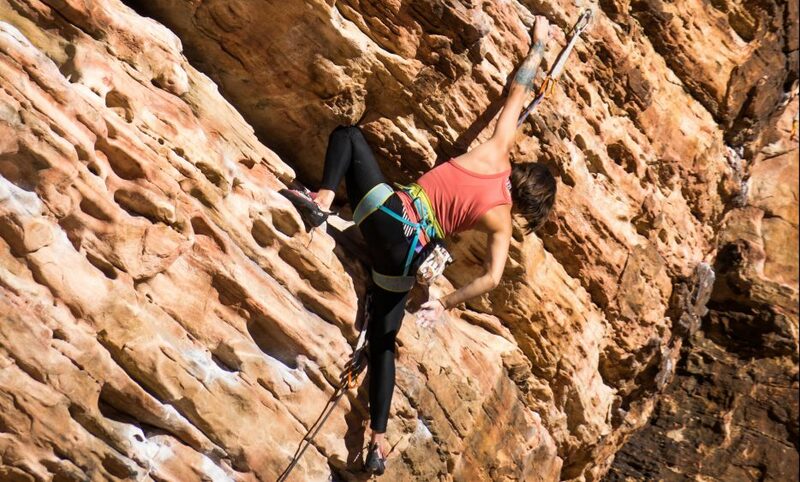 Or is that question too simple—is there a height for a climber that is “just right”? 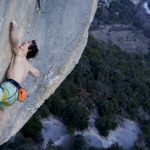 This article looks at real climbing data to try to answer these questions. Climbers have logged their climbs at the website 8a.nu for almost 20 years now. As a result, we can now analyze the climbs of tens of thousands of climbers—hundreds of thousands of climbs in total, including climbs from both boulders and sport climbers. The data includes information on the date of the climb, the grade, the climbing area/route, and a variety of other notes on climbing style. In addition, 8a.nu contains information from some climbers on their birthdays, heights, etc. Pulling all of this information together allowed me to analyze how climbers’ performance (or at least the performance they reported!) varied with their heights. Over the long run, I found little evidence that height affects peak climbing grade. The heights of the climbers in the 8a.nu dataset were typical of the U.S. population. 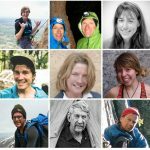 Over 4,000 climbers sport climbers and boulderers included their height in their profiles (I used U.S. climbs only). The average height in the data was a little under 5 feet 10 inches. The average height of an American man is about the same. Women were also included in the 8a.nu data, though there were many fewer women than men. Thus, the average heights were about equal to those of the average man. Additionally, the distribution of heights in the data was similar to that of American men. A man in the top 10% of heights in the 8a.nu data was about 6 feet one inch tall. A man in the bottom 10% of heights was about 5 feet 5 inches tall. These figures closely resemble the distribution of heights among U.S. men. To see if height corresponded to long-run climbing performance, I found the climb with the hardest recorded grade for every adult in the data (again, I used U.S. climbs only). Then I fit a mathematical function to the data to see whether a relationship existed between height and climbing grade. I did this separately for sport climbing and bouldering. The result, shown in the chart below, is a model that estimates the maximum grade climbed for the average climber of different heights in the data. 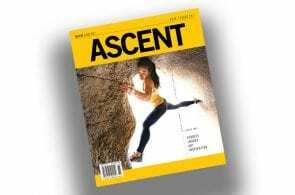 For both sport climbing and bouldering, height did matter over the long-run—but the amount that it mattered was tiny. And as you look at the estimated grades in the chart, keep in mind that these are grades for climbers in the 8a.nu data. These climbers have pretty advanced grades, on average. The gray area in the graph covers the heights of the middle 80% of climbers. In other words, the part of the model in the gray area covers all but the very tall or very short among us. 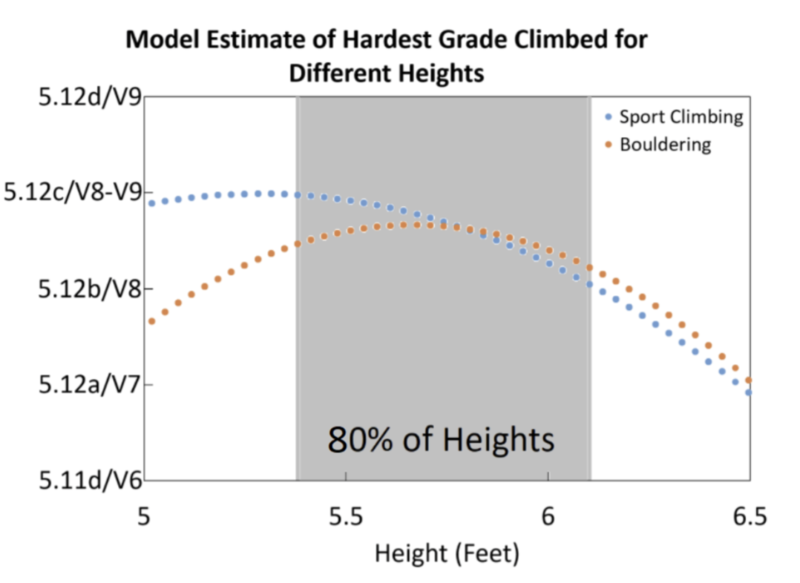 According to the model, sport climbers that were shorter than average actually reached higher grades than their taller counterparts. These grades weren’t higher by much, though. For the middle 80% of heights, the grades predicted by the model were within a letter grade of each other within the 5.12 range (i.e. within the 5.12b/c range). Shorter climbers reached 5.12c on average, while taller climbers reached 5.12b. 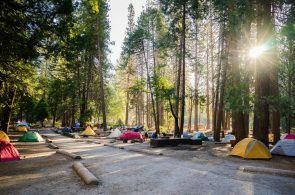 In statistical parlance, the effect of height on climbing grade reached in the long runthe difference was “statistically significant,” but it doesn’t seem practically significant at all. On a single climb it might be helpful or harmful to be taller or shorter. It also might matter if the weather was nice, among many other factors. But this model just looked at the maximum grades that climbers reached over their entire adult climbing careers. In the long run, whether you are tall or short just didn’t seem to matter. At least that’s the case for climbers in the 8a.nu data. For climbers outside the middle 80 percent—those outside the gray area—I wouldn’t make any inferences from the model. The data at these heights was extremely scarce. 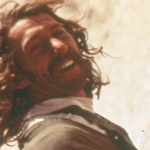 The long-run unimportance of height was even more clear for boulderers. The model for boulderers, shown in the graph, shows a curve where it appears disadvantageous to be very short and also disadvantageous to be very tall. The “sweet spot” to maximize your lifetime bouldering grade appears to be about 5 feet 8 inches tall. But when you take a closer look, the long-run effect of height on climbing grade is miniscule. On average, those with heights in the middle 80% of the population (again, everyone but the very tall or very short) all, on average, maxed out at a V8 level. There was not even a letter grade of difference between the “optimal” height and those at the 10th- or 90th-percentiles of height. 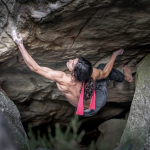 For boulderers, height barely mattered at all. The conclusion, to me, is that our subjective climbing grading scale is pretty good. That people of wildly different heights have maxed out at generally the same grades suggests that over the course of their careers, everyone will eventually find the routes that suit them well. And the consistency of max grade across height suggests there is just something about a 5.12 that makes it a 5.12. It would be unfortunate if a super long reach was a prerequisite for climbing most 5.12s. And it turns out that it isn’t. Chris Ring has a Master’s degree in Applied Economics from Johns Hopkins University. He is also your average weekend warrior, getting into the gym and out to real rock whenever he can. Chris thanks 8a.nu for nurturing the climbing community and providing a great source of data. Another vote for the model output, and more details on how you built and interpreted the model. The climbing community skews relatively nerdy, we can take it. I also take much issue with the use of the term “statistically significant” without any explanation of how you arrived at that conclusion. It would be interesting to see the results if you filter out anyone who doesn’t climb say ~ 5.12+ . That would keep the data to more serious climbers and not recreational hacks like myself.